Eric Newton is a man of metaphors. A vocal and longtime advocate for improvements in journalism education and embrace of the digital age, Newton has used his position with the John S. and James L. Knight Foundation to champion a teaching hospital model for J-Schools. 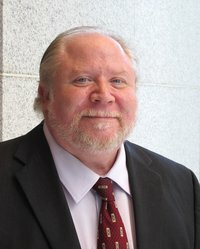 Like an academic medical center that trains people how to be doctors while caring for patients and researching new treatments, he argues, an academic journalism program should teach students, report on its community and develop cutting-edge technologies and storytelling approaches. He urges J-Schools to turn out students with the skills to navigate our current media ecology and the creativity to imagine what news media could become next. And now, he’s taking his ideas to Arizona State University to become innovation chief at its Cronkite School of Journalism and Mass Communication. As he does, he’s focused on a powerful metaphor gleaned from MIT Media Lab head Joi Ito: in media innovation, we need compasses, not roadmaps. When Newton looks at media work and training students to be ready for it, he sees a chance to free people of their maps and put compasses in their hands. A map cannot predict that Periscope will debut during your semester, and you need to account for incorporating it into your class. But a compass will tell you that as new technologies emerge, you need to point students toward audience-centered uses, as well as legal and ethical concerns. If you want to see the power of shifting mindsets in journalism education, look toward the Cronkite School and you’ll see why it’s attractive to Newton. 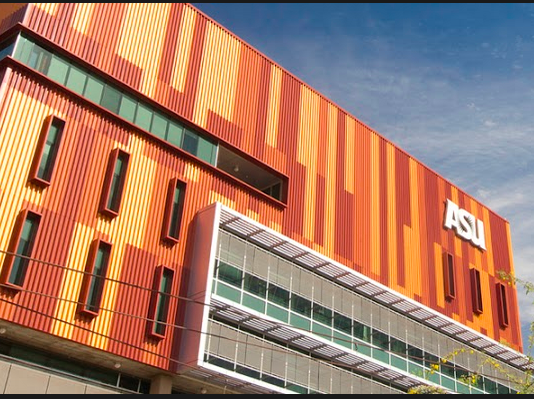 In the last decade of teaching within and observing the often fraught and bedraggled world of media instruction, I’ve seen no single program as ascendant as ASU (though plenty of other players are doing impressive things). Its leader, founding dean Chris Callahan, has spent the last 10 years amassing stunning resources, leading talent and novel programs in service of students. When he came to Cronkite, it was a program within another ASU college. He helmed its transition to an independent college of its own. He’s increased his full-time faculty from 20 to 45 while staff numbers have grown from 15 to 40. With this growth, Cronkite has taken its in-person student numbers from 2,000 when Callahan arrived to 1,400 today — achieving an instructor-to-student ratio well suited to the demands of ideal hands-on instruction. They’ve also built an impressive array of online teaching, with 400 students enrolled there. 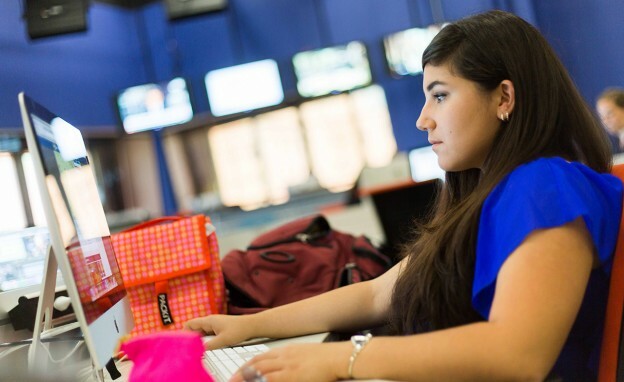 News21, a national initiative initially funded by Knight and the Carnegie Corporation to bring together students in professionally supervised depth reporting projects. Cronkite News Service, a division of Arizona PBS for which students produce daily news products. Reynolds Center for Business Journalism, a one-stop shop for training and resources on covering money. Knight Center for Digital Media Entrepreneurship, focused on forging startup mindsets and developing new media products. When Newton and I first came onto each other’s radar, it was around a shared concern about journalism education and a lack of progress. It’s safe to say neither of us would have said J-Schools were alive with innovation. Four years later, we dovetail on a something of a cautious optimism about how far programs have come and where they’re headed. Part of that is a ceasefire surrounding the question of whether schools need to change. When Newton started advocating, he had to arm himself to convince people that forward movement was necessary. He sees far less need for that ammunition today. From more open minds have sprung more nimble approaches to structure and teaching, as well as some upstart smaller programs that test fresh ideas. Curricula and syllabi seem like roadmap kinds of affairs — hammered out and fairly permanent — but anecdotally it feels like we’re seeing more compass-guided evolutions. For examples of this in action across the country, it’s worth checking out the video archive of the Green Shoots conference hosted by the Reynolds Journalism Institute at the University of Missouri, marking the second edition of Newton’s Searchlights and Sunglasses digital experiment. 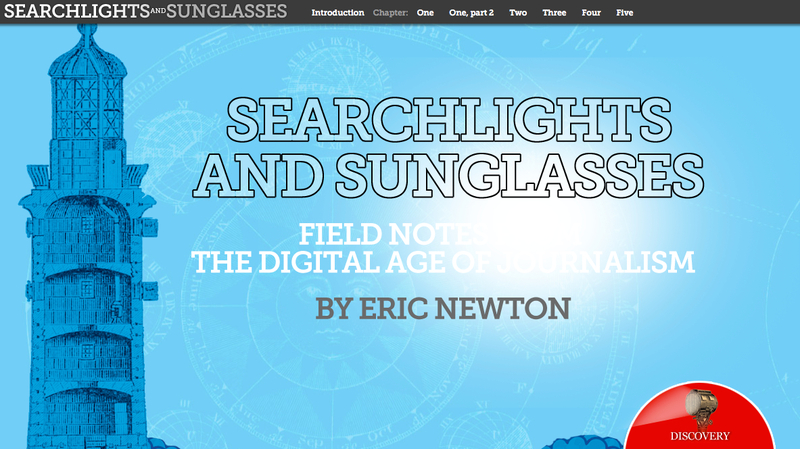 The 2014 update to Searchlights and Sunglasses continues to highlight media advances. It not lost on Newton — or me — that money is very much a part of this rejuvenation, from outside sources, yes, but more from healthy resources within our own schools, colleges and universities. If we’re searching for a metaphor, it’s the fertilizer stimulating the next phase of growth in journalism education. Newton employs another analogy to illustrate where funders ought to be headed to achieve the greatest change. If charity means giving a person a fish and philanthropy means teaching a person to fish, he hopes journalism funders see themselves now in the business of venture philanthropy: enable people to invent new ways to fish. This post was updated June 4, 2015, to clarify the amount of Knight Foundation grants to journalism programs and the need for internal funding.